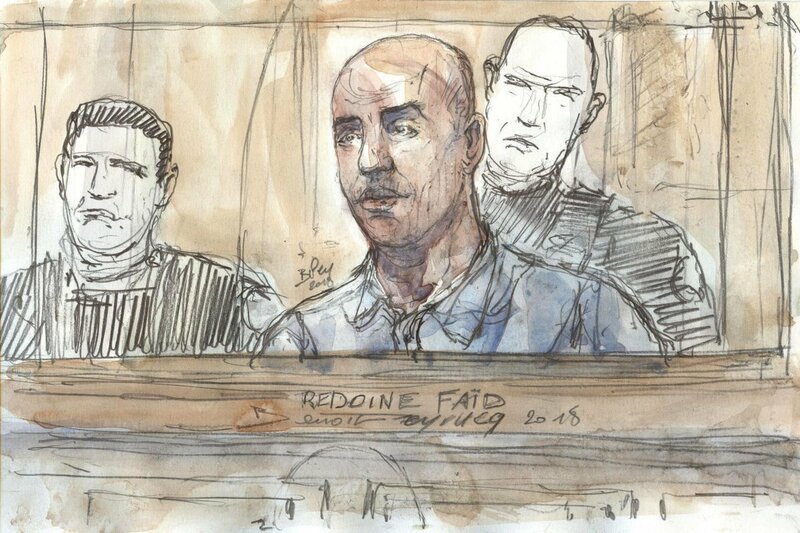 Faid became known across the world following a brazen escape from prison in Reau, south-east of Paris, on July 1. The career criminal has spent the last 20 years in and out of prisons for armed robberies and thefts, with July’s incident not even the first time he’s managed to escape from behind bars. In 2017, Faid was handed a 10-year sentence for the 2013 escape, as well as 18 years for his involvement in the failed 2010 robbery, later increased to 25 years. Image copyright IBO/SIPA/REX/Shutterstock Image caption Rédoine Faïd, pictured here in 2010, gained fame by writing a book France's most-wanted fugitive Rédoine Faïd was tracked down by police through phone-taps and was discovered using a burqa as a disguise, prosecutors say. Image copyright AFP Image caption Rédoine Faïd was tracked down to this apartment block in Creil, not far from where he grew up At 04:20 (02:20 GMT) on Wednesday, dozens of France's BRI police stormed the flat and arrested the two brothers and two others, including a nephew and the 28-year-old flat owner. 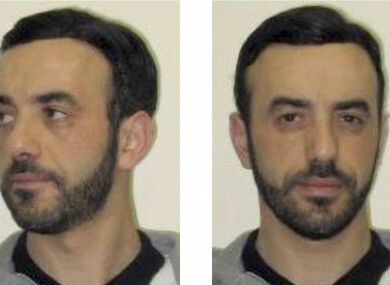 Image copyright AFP Image caption Rédoine Faïd was placed on Interpol's most-wanted list after his 2013 escape During a 1997 attack on a security van, he and his accomplices used ice-hockey goalkeeper masks, mimicking Robert de Niro's gang in the film Heat. Timeline of a jailbreaker Faïd's cycle of imprisonment and escape began with his arrest in 1998 for armed robbery and bank theft In 2009 he was freed on parole, swearing that he was a changed man - but by 2011, he had breached his terms of release and was back behind bars In 2013, he escaped from a prison near Lille, using explosives to blast his way through five prison doors while holding guards hostage as human shields In 2017, Faïd was sentenced to 10 years for that jailbreak. He was also given 18 years for masterminding the 2010 robbery In 2018, following a failed appeal, Faïd was given a heavier sentence of 25 years France vows better security For French authorities, Faïd's jailbreaks have proven embarrassing and Justice Minister Nicole Belloubet vowed on Wednesday that it would not happen again. In this photo dated Nov. 22, 2010, notorious French criminal Redoine Faid poses prior to an interview with French all-news TV channel, LCI, as he was promoting his book, outside Paris, France A gangster who escaped from a French prison by helicopter with the help of an armed commando team was captured by police in a tower-block apartment early on Wednesday, ending another chapter in the life of a criminal known as the "jailbreak king". The sight of a burqa-clad person who appeared to be a man led French police to fugitive bank robber Faid, Paris prosecutor Francois Molins said on Wednesday.